A LUMS graduate, infested by a clingy travel bug, interested in theater, politics, literature, and movies. She tweets as @RidaBaqai. It has been a month since my university life ended, and to be honest, the alumnus status on my LUMS student ID card still unnerves me. The hostel life,the overwhelming independence,the never-ending sleepovers, the shopping sprees for the peculiar paindu day and daaku (thief) day, and the all night ‘chilling’ sessions at the khokha (canteen), not to forget the extensive travelling, are some of the best and irreplaceable experiences a student can ever have. The traveling came in the form of flights from Lahore to Karachi and vice versa, each time introducing me to strangers and immediately churning them into friends over the one hour 45 minutes flight. Some were entrepreneurs and business women who lured me in with their success stories and potential job opportunities, others were hard-core travellers who had trekked as far as the K2 base camp, and yet others were students from minority groups, who I actively discussed the 18th amendment and blasphemy laws with. 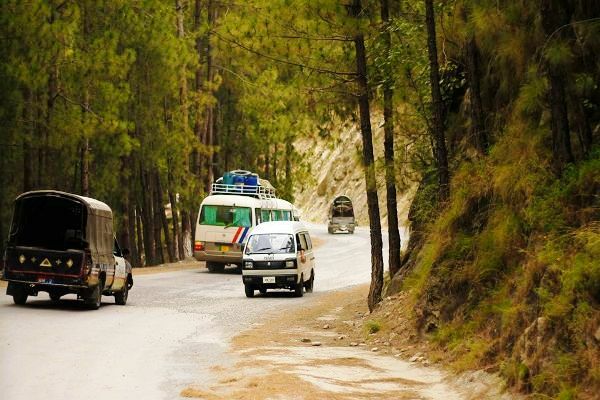 The travelling also came in the form of bus rides, as I often availed the Daewoo bus service. The experience was great, thanks to the bus hostess, the small lunch box, Wifi, and people from all socio-political backgrounds which paved my way out of the ‘LUMS bubble’. 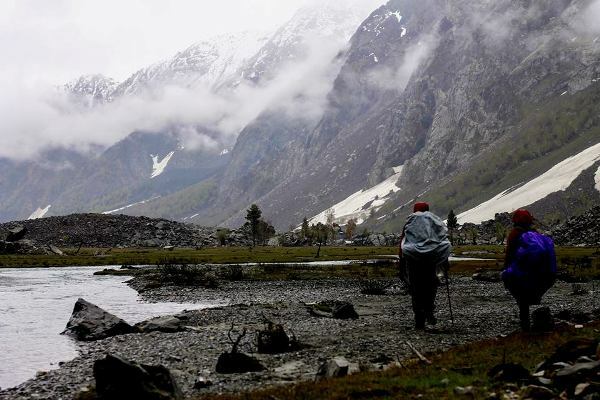 However, the travelling that trumps all is the trekking trip to Naltar, I partook this May. The first step was to register for the trip. Standing in the queue, all night in order to register at 8 am sharp made many rethink about the trip. As soon as the registration process was completed, our group of 25 was ensured that this perhaps the easiest part of the trip, and time to unleash the ferocious warrior within us. Now that we had scored a place on the trip, the preparations began. Research about the weather and the terrain is mandatory. Of course there are the exaggerators, the hypochondriacs and the pseudo-trekkers, who are forever ready to bestow their trip advices on you. Choose carefully, for bad advice haunts you for a long time in the mountainous area and cursing becomes inevitable. Search for trekking equipment became the most important task for us. Items such as down jackets, backpacks, trekking joggers, water-proof pants, gaiters, trekking poles heralded the campus, definitely not less deathlier than the Hunger Games, because of course, having the best equipment added to a trekker’s pride. 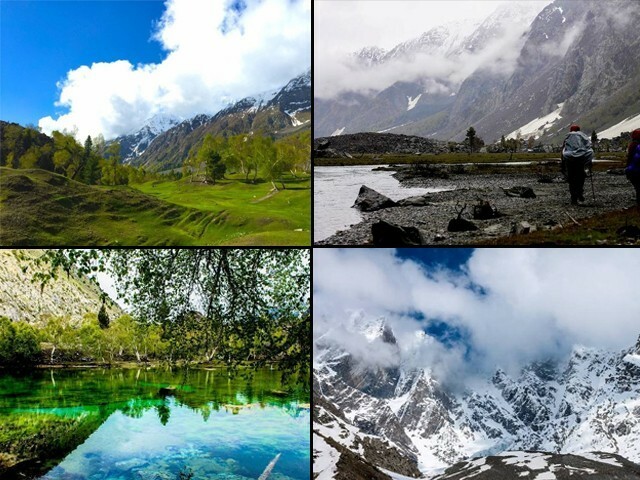 Naltar is a valley, 40 kilometers away from Gilgit city. The terrain was inclusive of barren and snow-capped mountains, forests, lakes, streams and narrow-stoned ridges. 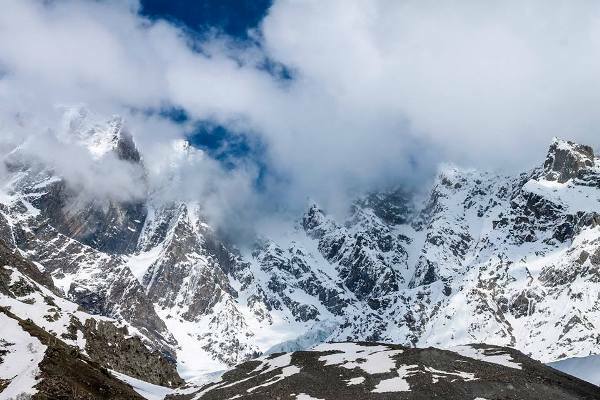 Not only was fitting the aforementioned trekking equipment in the bags a task in itself, the bumpy bus ride spanning above 25 hours from Lahore to Islamabad and then from Islamabad to Besham was enough to stunt your backbone. An overnight stay at the PTDC motel in Besham, proved to be a great source of comfort, especially coupled with a dinner comprising of warm naans and delicious qeema. The next day, the journey of tattered roads and never-ending bus rides resulted in our arrival at Gilgit, from where the group of 25 was shuttled to the valley in two HiAces. This was the last form of transport to be seen for the next four days and it was time to brace our feet. Naltar’s specialty is the constantly changing scenic beauty, which mostly comprised of meadows and green pastures on our first day. The pastures became much livelier, thanks to the invariable drizzling. At the end of day one, we camped. 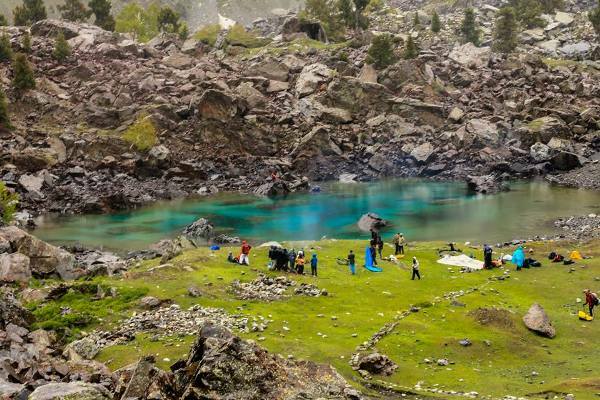 Five people stuffed into a camp near one of the famous three lakes of Naltar. The porters helped us set up our tents and a small place for themselves to warm the food, which was carried in barrels. Using the bathroom in the bushes alone at night when everyone is fast asleep with the sound of wildlife in the background makes your jaw tremble, and the only light in the distance is the narrow beam from your small flashlight, is one experience, the less spoken about, the better. Day two comprised of our search for a new campsite, closer to the Lower Shani and a seven-hour trek to the Upper Shani. The narrow pathways on the mountains, slippery snowy surfaces, sometimes only fit to accommodate one pair of feet at a time. The trek to Upper Shani had me convinced me I was going to die, but my own ingenious technique of sliding down these pathways ensured my safety. Even though the trek was worth the sight we witnessed at the end, I’m still envious of those who stayed back at the camp and slept at the serene campsite in peace, while we endured hours of hardship. 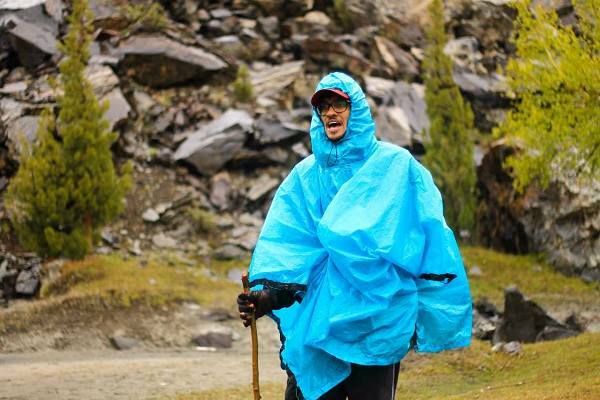 A trekker clicked while combating rain and backache. On day four, the group and I camped near the most beautiful lake in Naltar itself, where the bonfire was kept alit by our constant log investments, helping us through the night, especially because the temperature had fallen to a great extent. To celebrate the beauty of the lake, a solo photo shoot of each of the ‘trekkers’ followed. 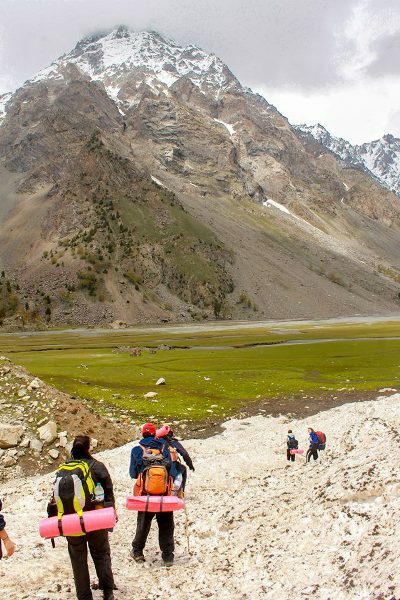 The following morning, as we were cleaning the campsite, packing our bags in order to make our way back to HiAce, marking the end of our stay at Naltar, I knew the valley had me love struck for life.